PA envoy to the United States returns to Washington after just one day of "consultations" over Jerusalem recognition. The Palestinian Authority (PA) envoy to the United States said on Monday that he is returning to Washington after just one day of "consultations" over President Donald Trump's decision to recognize Jerusalem as Israel's capital. The envoy, Husam Zomlot, said he met PA chairman Mahmoud Abbas privately, according to the BBC. He was instructed to return to Washington "immediately", he added. On Sunday, PA media reported that PA foreign affairs chief Riyad al-Maliki had ordered Zomlot back to Ramallah in the wake of Trump’s recognition of Israel. Following Trump’s declaration that the U.S. recognized Jerusalem as Israel’s capital and announced plans to relocate the U.S. embassy from Tel Aviv to Jerusalem, senior PA officials warned that Trump’s vice president, Mike Pence, would not be welcome in the PA during his visit to the Middle East, originally scheduled for December 18. 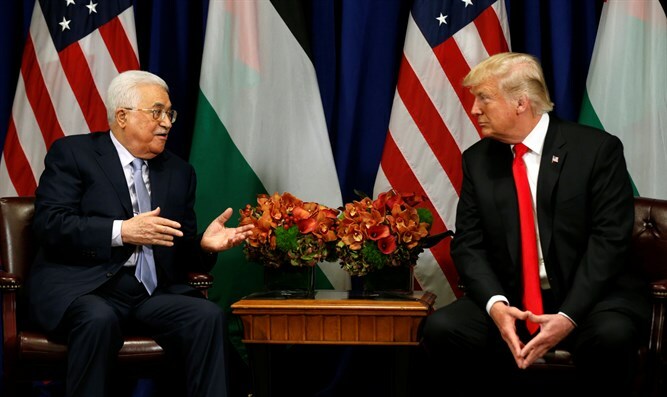 In November, the Trump administration warned that if the PA would not agree to new negotiations with Israel, the U.S. would shutter the Palestine Liberation Organization (PLO) office in Washington DC. PA officials responded angrily, threatening to cut off all ties with Washington if the PLO office was closed.